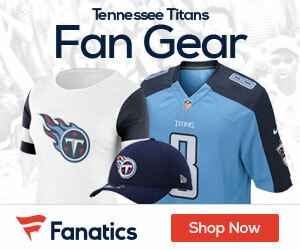 « Titans Fans! Enter The New Era Photo Day Contest! Titans offensive coordinator Dowell Loggains has virtually done away with the call sheet/wristband preferred by his predecessor, Chris Palmer. He plans instead to communicate the specific call directly to the quarterback, David Boclair of Nashville City Newspaper reports. As part of that change, most of the plays are not called what they were in recent seasons. The move away from the wristband was made in conjunction with a reduction of the number of words needed to designate what is to happen. Players often noted that Palmer’s play calls sometimes required a deep breath in order to spit out all the necessary words.